101 is a national number and can be dialled from anywhere in the country. It can be dialled from a mobile or landline phone. The cost of the call is set at 15p irrespective of whether it is made from a mobile or landline, irrespective of the time of day or how long the call lasts i.e. 1 minute = 15p, 20 minutes = 15p. Please use the new 101 number to report crime that has occurred, suspicious vehicles / persons, minor accidents etc. 101 can be dialled from any part of the country and it will automatically put you in touch with the police force covering the area from which you are calling. For example, dialling 101 travelling through Melton will put you in touch with Leicestershire Police while dialling 101 while travelling South on the M1 through Northamptonshire will put you in touch with them. 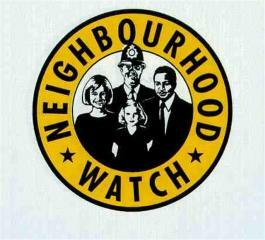 Welcome to the Neighbourhood Watch section of the Parish web site. Here you will find information provided by the police on local matters of concern including crime updates. To find out more about the Leicestershire association click the link.